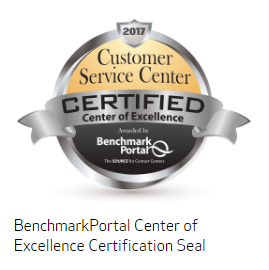 MELVILLE, N.Y., January 24, 2018 – Showing steadfast commitment to service and support, the Business Imaging Solutions Group (BISG) Technical Support Center of Canon U.S.A., Inc., a leader in digital imaging solutions, proudly receives the “Center of Excellence” certification from BenchmarkPortal for the ninth consecutive year. One of the most prestigious certifications in the customer service and support industry, the certification honors customer service call centers that rank in the top 10 percent of call centers surveyed. To evaluate a call center, BenchmarkPortal researchers audit and validate companies against a balanced scorecard of metrics for efficiency and effectiveness. This balanced scorecard includes key performance indicators, customer satisfaction ratings, cost, and quality-related evaluations. The Customer Solutions Center fosters collaboration, with the technical support, engineering, and development teams all working together within one location to employ cutting-edge technologies that deliver outstanding service and support solutions to our channel partners , and in turn customers, across the enterprise, production, large format, image capture, and desktop imaging product lines.